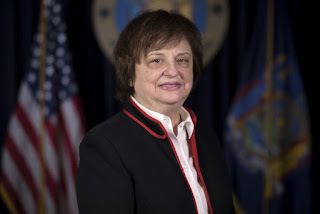 NEW YORK, N.Y. -- Attorney General Barbara D. Underwood – part of a bipartisan coalition of 34 Attorneys General – today called on the Federal Communications Commission to create new rules to allow telephone service providers to block more illegal robocalls being made to unsuspecting consumers in New York and across the country. Last year, at the urging of a coalition of Attorneys General, the FCC granted phone service providers authority to block certain illegal spoofed robocalls; the Attorneys General now seek added authority for the providers to work together to detect and block more illegal spoofed robocalls – including "neighbor spoofing." "Unwanted robocalls aren't just a nuisance – they're a means for scammers to take advantage of unsuspecting New Yorkers," said Attorney General Underwood. "New Yorkers have been bombarded with these illegal robocall scams – including the all-too-common spoofed calls that appear to come from a neighbor – and it's time for federal action." "Spoofing" allows scammers to disguise their identities, making it difficult for law enforcement to bring them to justice. "Virtually anyone can send millions of illegal robocalls and frustrate law enforcement with just a computer, inexpensive software and an internet connection," the Attorneys General wrote in the comments filed with the FCC. One tactic on the rise is "neighbor spoofing," a technique that allows calls – no matter where they originate – to appear on a consumer's caller ID as being made from a phone number that has the same local area code and exchange as the consumer. This manipulation of caller ID information increases the likelihood that the consumer will answer the call.